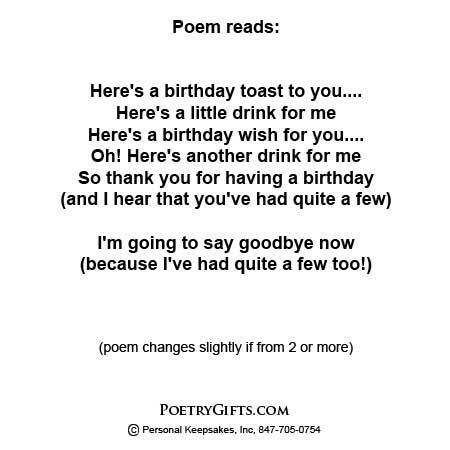 Lighthearted birthday toast for a friend. 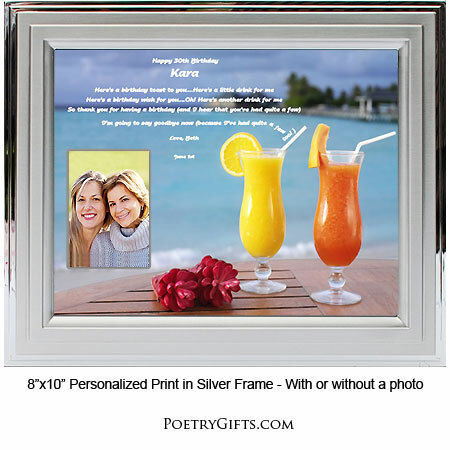 This EXCLUSIVE Poetry Gift can be personalized with your friend's name, your name, optional birth date and a personal message. 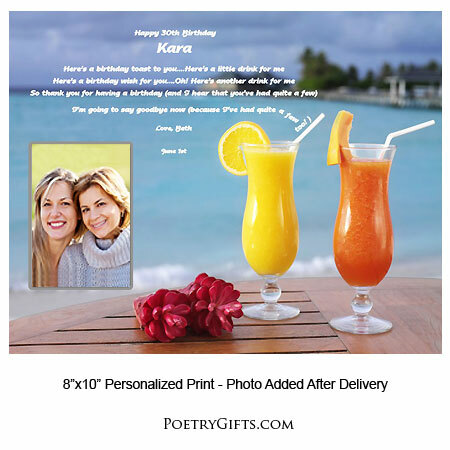 Makes a fun birthday present for a sibling also! 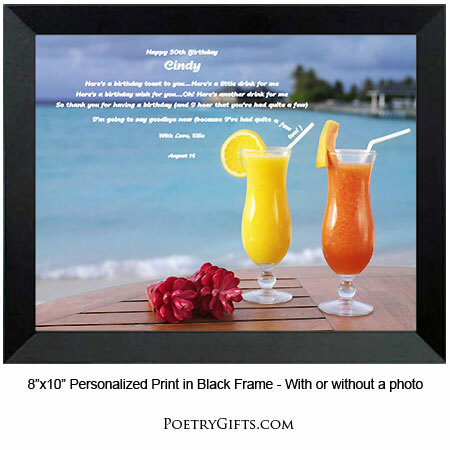 The funny birthday toast will surely bring a smile to his or her face. 4. Closing Phrase and Your Name (as seen after poem) - (Examples: You've never looked better! Charlie; Love, Christine; etc.)"